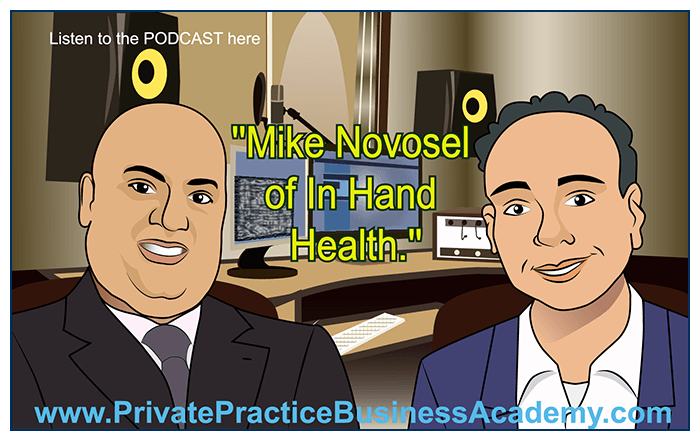 Listen to In Hand Health’s Mike Novosel as a guest on the Private Practice Business Academy podcast. Dr. Joe Simon and Mike discuss the In Hand Health solution and how it can be applied to any physical therapy private practice. See the full list of topics and links to the podcast files at the Private Practice Business Academy website.